It’s a short one today folks… I’m over at Jerry Beck’s house, here in California for the CTN Expo with some of the animation students from the school I teach at, The College for Creative Studies in Detroit. There has been a great response to The Snowman from last week’s post – so let’s continue on with another pair of obscurities from my Cultoons collections (both available in better quality on Volume 1). 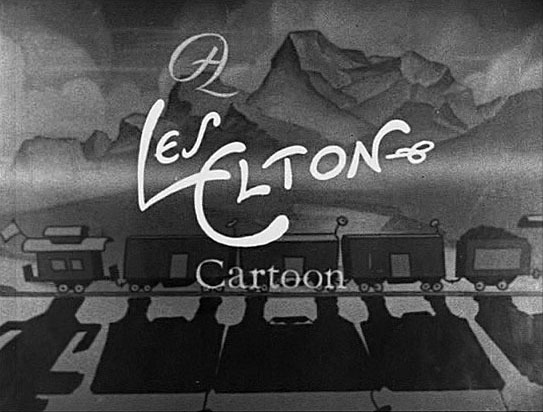 Here’s the collected sound works of sports cartoonist-turned-animator Les Elton – at least, the only films we know of by him, produced during the sound era. It would be impossible to describe in words Monkey Doodle. It’s one of those things you have to see to believe. This oddest of oddities features unique designs and bizarre, detailed animation. The Thunderbean version of this film was restored using 4 prints from 4 different sources. Unlike Monkey Doodle this short is a combination of cartoon ideas mixed with those of a live action comedy short. Elton combines the rotoscoping animation technique (tracing live action frame by frame) with his animation to great effect. Always loved these. Like many collectors, I stumbled onto MONKEY DOODLE thanks to the mute toy projector clips that would pop up from time to time. It took your Cultoons disc to finally identify the darn thing for me. And as to THE HOBO HERO… well, bizarre, weird, unique are all pretty weak words. That racy closing gag is a take on an old burlesque routine, the sort of thing that pretty much vanished after the production code was enforced in the mid thirties. But there’s another variation of the same bit in this Hal Roach comedy from 1934. “Hobo Hero” is one I’d love to see sprung on a large audience. Well stated! Although I was hoping for another story about Pastrytown Wedding! LOL!! Les Elton is a hero of American film. I would love to read a biography about this very, very interesting man, and you, Steve, would be most qualified. Hello, Steve. I tried to reach you by e-mail with no luck. I’d like to order your new collection through your website to get the bonus toons. Unfortunately I can’t see a way to do it. Please assist. Thank you. If you go to the Thunderbean website, don’t click on any links; just scroll down on the home page, and you’ll see the email address to send your PayPal payment to as well as the amount. 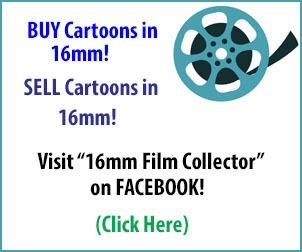 You’ll want to go to thunderbeananimation (dot) com for the information. Wow! And I thought the Fleshier Brothers made bizarre cartoons! As I watched The Hobo Hero I realized that this is exactly how Bob Burden’s “Flaming Carrot” comic book stories should be animated.